Good communication between home and school is essential for keeping your child happy and safe in special education. Some teachers keep a dialog going through journals, e-mail, or websites. If you're not getting the amount or type of information you need, though, it may be because the teacher has so many other things to attend to that writing notes falls to the bottom of the list. Help out by sending in a super-simple behavior chart that requires very little input. To make the best use of this simple chart, discuss it with the teacher during a conference or meeting. Establish three basic goals to focus on: "Staying at desk," maybe, or "Turning in homework," or "Raising your hand." They don't all have to be behavior-related; academic or other school-related goals work fine, too. 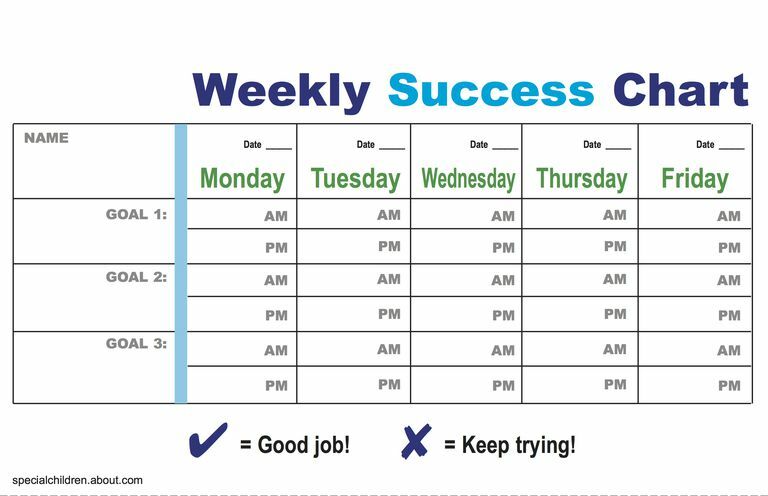 For each goal, each half of each weekday, the teacher can put a check mark if the student does well with the goal or an X if the behavior doesn't quite happen. A paraprofessional may be able to help fill this out, and there's always room on the back to dash off a quick note if needed. Take responsibility for managing this chart process. Make the copies yourself, put a new one in your child's folder every Monday, then take the old one out on Friday and file it. Rather than punish your child for the Xs on the chart, cheer and reward the check marks -- you want this to be a motivating feel-good experience, not an exercise in guilt. Talk to your child a little about what went well and what didn't, and you may find ways to improve the odds of success. If you notice more Xs at a certain time of day or a certain part of the week, that may provide a clue about things that are causing your child stress. Discuss the chart with the teacher whenever you have conferences or other meetings, to make sure the goals are still appropriate and there's nothing else that needs to be targeted. By providing the easiest possible method of communication, you're helping the teacher out, and establishing yourself as an understanding, collaborative parent. That may improve the school's behavior a little bit, too.